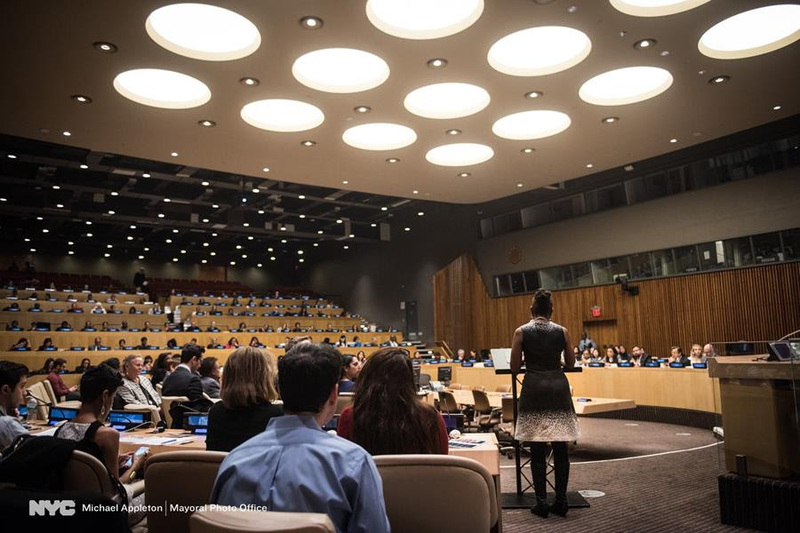 Considered a leader in innovative mental health approaches, RHI presented alongside First Lady of NYC, Chirlane McCray, at a recent United Nations conference. For youth growing up in NYCHA’s Red Hook Houses, stressors of adolescence include more than homework assignments or making it to class on time. Living in Red Hook means facing instances of community violence, unhealthy living conditions, and limited local access to healthy food, transportation, and education. When it became clear that youth needed resources to cope with these stressors, Red Hook Initiative (RHI) began offering one-on-one counseling. Now through ThriveNYC’s Connections to Care (C2C) initiative, led by First Lady of NYC, Chirlane McCray, RHI offers acute care. The goal of C2C is to reimagine, strengthen, and expand mental health care in traditionally underserved communities. The three-year grant, awarded last March from The Mayor’s Fund to Advance New York City, increased services onsite while partnering with NYU Lutheran Family Health Centers for more severe cases of mental illness. In the past year, social workers spent hundreds of hours in counseling to ensure that teens and young adults were able to meet their personal and professional goals. 100% of youth struggling with mental health concerns receive much-needed care from RHI. Upon meeting a social worker, an RHI participant quickly overcame the stigma of seeking treatment. She reflected on the experience: “I’ve come to see myself as more mature, capable, resilient, and stronger as a person.” Over 90% of RHI Youth Leaders are on track to graduate from high school, and 80% of seniors plan to begin college this fall. March is National Social Work Month, and RHI proudly joins the city-wide and national conversation by providing essential mental health care to youth in Red Hook during the most formative years of their lives. 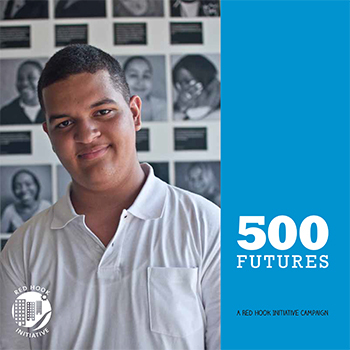 The Connections to Care initiative at RHI is made possible by support from The Mayor’s Fund to Advance New York City, The Simons Foundation, van Ameringen Foundation, and The Marion E. Kenworthy-Sarah H. Swift Foundation. We are grateful for their commitment to mental health care at RHI.